If you’re a casual user, Plex will virtually work straight out of the box. You just need to spend a litte time learning how to set up Plex and add your media. But after you’ve used Plex for a while, you might notice a missing feature, or wish for some extra functionality. Which is where third-party plugins come into play. There are hundreds of Plex addons out there; many of them aren’t worth your time. But some are absolute must-haves. If you’d like to know which third-party Plex tools can turn you into to a power user, keep reading. Formerly known as PlexPy, Tautulli is an essential add-on for anyone who shares their Plex library with other people. The add-on focuses on providing statistics about your Plex server. The stats include what programs have been watched, who watched them, and when and where they were watched. It’s also a powerful notifications tool. You can alert other people when you add new content to your library, receive an alert if your server goes down, and many more. Lastly, this add-on allows you to use custom scripts. These let you expand the functionality considerably. For example, you could kill a stream if a user is outside of your local network, or automatically add a label to recently added library items. Web Tools is perhaps the most commonly-used Plex add-on. It includes the popular Unsupported Appstore (which includes a host of unofficial Plex channels and user-generated content), as well as logging tools, a subtitle management module, a playlist management module, and a tool that can scan for missing or unmatched media. Depending on which operating system you’re running, installing the add-on can be a bit complicated. Luckily, we’ve explained how to unlock Plex channels How to Unlock More Channels on Plex With the Unsupported App Store How to Unlock More Channels on Plex With the Unsupported App Store There are hundreds of Plex channels available through the Unsupported App Store. Here's how to install it and unlock the extra content. Read More elsewhere on the site. Plex can handle subtitles natively How to Use Subtitles on Plex: Everything You Need to Know How to Use Subtitles on Plex: Everything You Need to Know Plex supports several subtitle solutions for your media, but they're all disabled "out of the box." Here's everything you need to know about how to use subtitles on Plex. Read More , but it comes with a few caveats. You only have access to a couple of subtitles libraries, and the tool doesn’t retrospectively add subtitles to existing media. Sub-Zero offers a more holistic way of managing subtitles. It will automatically scan eight repositories to find the best subtitles for your video, it can scan your media for missing subtitles files, and it offers many customization tools such as color, timing offset, and the removal of HI tags for people with impaired hearing. Unfortunately, there is no way to watch Netflix from within the Plex app. However, Plex2Netflix does offer an easy way to see how much of your existing library is available on the popular streaming service. It’s useful if you’re running short of space and want to delete some content. You’ll also find it useful if you’re wondering whether you need to spend the time downloading a new show. For each library item, the add-on will tell you what percentage of the show is available. For example, perhaps you have five series of your favorite comedy saved locally, but only the first three series are available on Netflix. Would you like to show other people what content is on your Plex server without giving them access to the server itself? Plex Export is the add-on you need. It lets you produce an interactive HTML page that anyone can browse. Your media is shown by section, and the HTML page includes live filters so viewers can quickly establish what’s available. You can filter by most metadata fields, including genre, actor, year, rating, and more. Some people like to try and make their Plex server replicate the movie-going experience as closely as possible. A big part of that is watching pre-movie trailers for films that haven’t yet hit theaters. The TheaterTrailers add-on can pull in trailers that are currently airing in cinemas and broadcast them before your video starts. When the films eventually become available to the public, the app will automatically delete its trailer. Plex-Sync lets you automatically sync the watched status between multiple Plex servers. It’s useful if you have separate servers running in different locations—for example, at your house and in the office. The tool can also sync between different users. If you and your partner watch some episodes of a show together but others when you’re apart, it will ensure you’re both on the same page when you next log in. You can sync your content via both HTTPS and ports. Transmogrify is a browser extension. If you access Plex via a web browser rather than through the desktop client, the tool will introduce several useful new features. The additional features include a server statistics page, a way to see any missing seasons or episodes in TV shows, actor profiles, and a randomizer for movies and TV series. The extension will also add several new links to the Plex interface. Examples include a “view trailer” button, a link to a movie’s IMDb page, and a Rotten Tomatoes link. 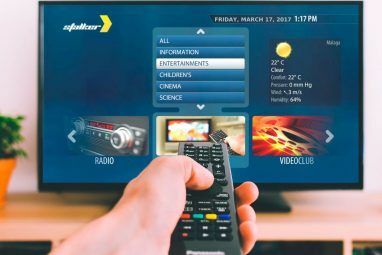 Many TV networks around the world broadcast their shows via IPTV. Using the IPTV channel, you can access those feeds (assuming they’re not encrypted or geo-blocked). To add content to the app, you’ll need to get your hands on a streaming URL or an M3U playlist. A quick Google search will reveal hundreds of playlists you can choose from. The app supports on-screen program guides, channel categories, and custom channel logos. If you’ve never used IPTV before, make sure you check out the add-on’s wiki. It has all the information you need to get started. For those who don’t know, Trakt is like the Last.fm of the video world. It automatically logs everything you’ve been watching to your online profile. Kodi has a Trakt add-on, so if you split your time between the two popular apps, this is an essential tool to keep on of what you’ve been watching. It will sync your watch history between the two apps so you don’t become confused. Like Last.fm, Trakt will also make recommendations based on your viewing habits. 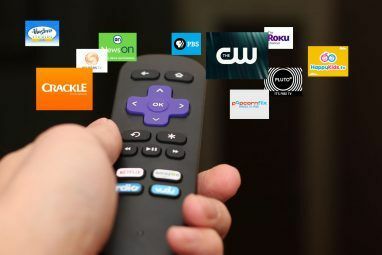 It can even tell you which services and apps offer the show or movie you want to watch. Other features include a TV calendar and customizable watchlists. Of course, installing these plugins or addons won’t suddenly make you a Plex power user. 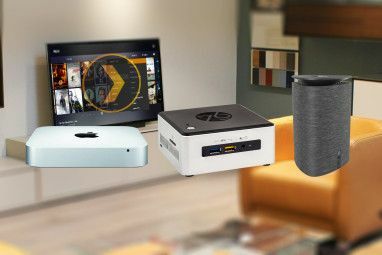 If you want to get the most out of Plex, you’ll benefit from reading some of the other articles we’ve previously published on MakeUseOf. Start off by learning some essential Plex tips and tricks, then decide whether or not you need a Plex Pass 5 Reasons Why You Don't Actually Need a Plex Pass 5 Reasons Why You Don't Actually Need a Plex Pass Do you actually need a Plex Pass? Is a Plex Pass worth it? Here are several reasons why you may not actually need it. Read More . Finally, try one of these Plex web shows 10 of the Best Plex Web Shows to Watch Right Now 10 of the Best Plex Web Shows to Watch Right Now In 2018, Plex launched Web Shows. Here are the best Plex Web Shows worth watching and how to access them. Read More . Hey, I'm the author of Sub-Zero. First, thank you for ranking the plugin that high. When I first read the paragraph, I wasn't sure what exactly you meant by "You only have access to a couple of subtitles libraries, and the tool doesn’t retrospectively add subtitles to existing media." - do you mean Plex doesn't, or SZ doesn't? If it's the former, I'd perhaps rephrase the sentence a bit. If it's the latter, it's not true. SZ is both a GUI plugin and a metadata agent, thus, once you refresh the metadata of an entire library, SZ will (try) to pull subtitles for all of the media inside. we all plex global users thank you, sir, for such a useful plugin. kutgw! Plex2Netflix is currently giving out 404 errors on its searches. Developer said in February he would fix it. Standby. Transmogrify does not work on new versions of Plex. It has not been updated for 2-3 years. The main Dev announced he had stopped working on it in 2015. It allows your users to login and request contact. It's great if you share your sever to friends, no more text asking if you can add something.